That’s it for our Anime Central panel this year! A big thanks to everyone who attended. Now, what exciting announcements did we have in store…? 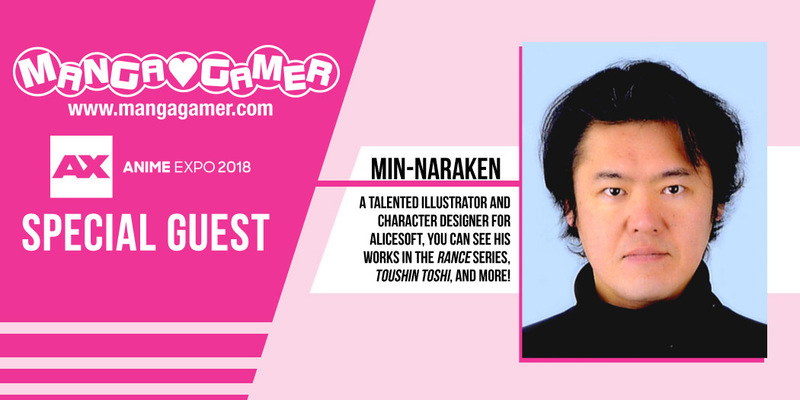 First off, we have our guest for Anime Expo––Alicesoft illustrator, MIN-NARAKEN! As a veteran character designer and illustrator for the illustrious Alicesoft, MIN-NARAKEN has applied his creative talents on many of Alicesoft’s flagship franchises. From Rance to the Toushin Toshi series, his vivid and dynamic art style has distinguished him among the many notable illustrators within the visual novel industry. MIN-NARAKEN will have a panel at Anime Expo, as well as an autograph session. And we had two new games to announce––eyephon’s Sisterly Bliss (TsuiYuri) and Waffle’s Funbag Fantasy 2! They say love can transcend all boundaries, but is that really true? The twins Ichika and Futaba have always been inseparable, even as they developed their own interests and hobbies. Their love is strong and they’re always supporting each other, but can it hold up to accusations of codependency? Are the twins truly codependent as their Mother fears, or could the truth be something sweeter, something forbidden? Can the twins weather the storm and keep their flame alight, or will everything change for good? Find out in eyephon’s Sisterly Bliss! The Funbag Fantasy series returns with its epic story, huge bosoms, and titillating action in Funbag Fantasy 2! The time is 150 years before the events that reshaped Eurodia, an earlier age when daemons and humans still lived together. In the Island Kingdom of Hillsland, our new hero, Ruin Dimidium, has graduated from the Royal Abbey and been relegated to Boobshire, where he must deal with bandits or lose his station. What fate awaits Ruin on his journey full of succubi, bosom elves and knights, mermaids, and even royalty?! And that’s it for Anime Central! 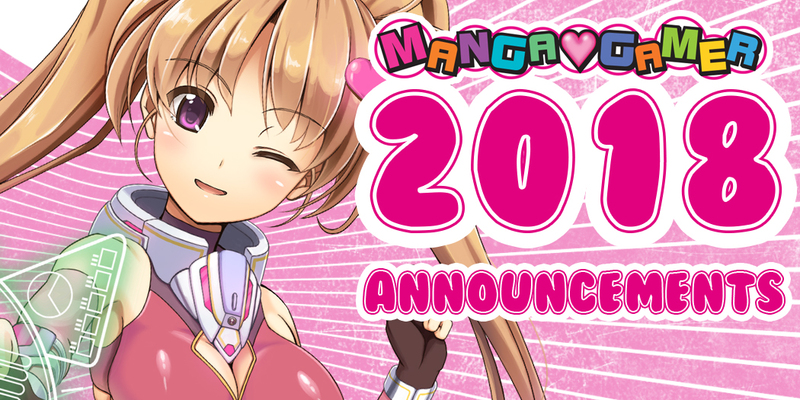 We hope to see many of you at our next convention, Anime Expo, where we have even more exciting announcements in store! As always you can keep up with our convention schedule and latest announcements on our announcements page. Tagged eyephon, funbag fantasy, funbag fantasy 2, sisterly bliss, tsuiyuri, waffle. So you’ll be starting with the original KF2. I’m fine with that, especially since it’ll get you to appreciate the changes in 2if alot more whenever it gets localized. I am curious though, will you guys be localizing the DLC after story for Lorelia’s ending? Aww, so it’s not the improved 2if story? I wont buy the game twice so I’ll just wait for 2if. Thank you for continuing with the Kyonyuu Fantasy series! I hope to see Kyonyuu Fantasy Gaiden 2 translated soon! I had never heard of Sisterly Bliss before, but it looks great and I’ll definitely be buying it. More Funbag Fantasy is always a good thing! 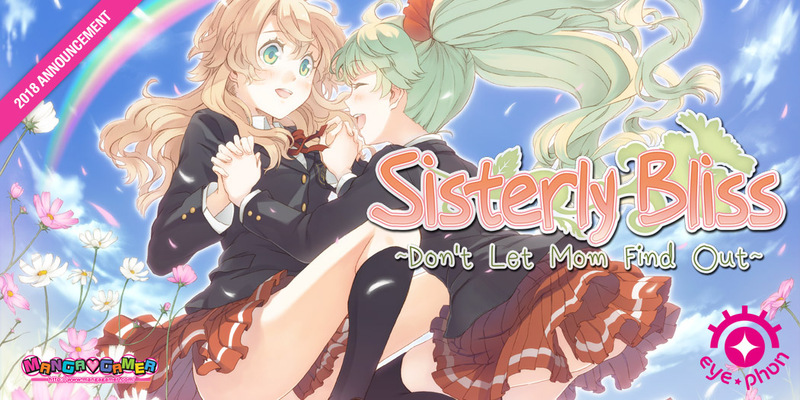 Sisterly Bliss though, wow, sounds like a really enjoyable yuri title. I wish MG would return to AWA, then again, I think the lack of business you guys had in AWA might not make the venture worthwhile. Would really like to be able to buy convention merch that can’t be bought from the website. What about RANCE?! AM I THE ONLY FAN LEFT?! No, you’re not. It’s just that Rance already came to an end. We’re focusing on new stories now. Still, I’m a fan of Rance myself though. No, you definitely aren’t. It’s just that the official story already came to an end… And I’m looking forward to Kyonyuu Fantasy 2 more than a story that already ended. It’s time to move on to new stories bro. That great story already ended after all.